There is a saying, 'A problem shared is a problem halved.' And while sharing a problem may not solve it, or even halve it really, it definitely helps put things in perspective and can give you the clarity you need to approach the problem effectively. But is sharing your problems with others always the answer? 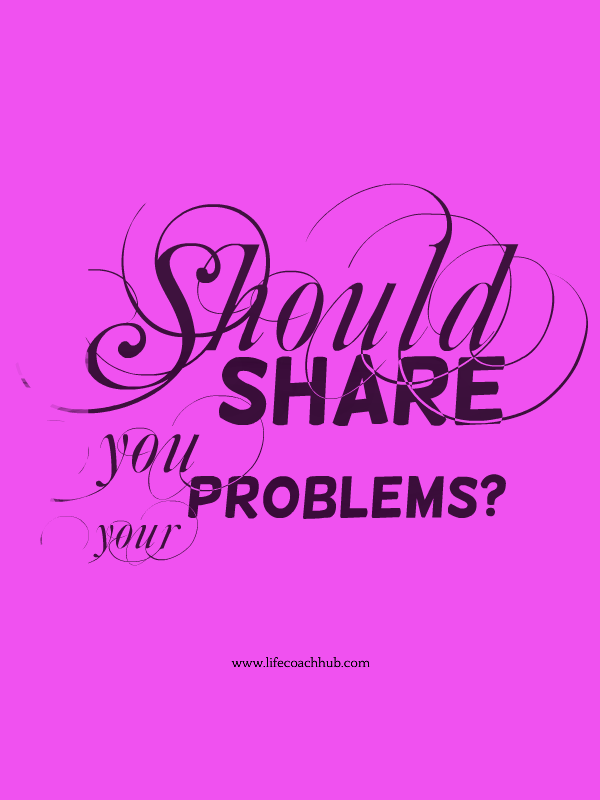 Does Sharing Your Problems Help? It very much depends on who you share your problems with. You probably have at least one friend or family member who you think is a great listener. One of the reasons I started coaching was because so many people were coming to me for advice or just to offload their problems and worries. The risk in sharing your problems with your friends and family is that they may be too close to the situation, or to you, to be able to be objective or not to be affected themselves by anything you may reveal or decide. Have you ever listened sympathetically to a friend complaining about something their partner has done which has really upset them? You feel protective towards your friend and probably a bit annoyed with their partner for whatever they have said or done. You offer sympathy and maybe give an opinion or advice. Whatever they reveal about their partner may change the way you view him or her from now on. Once the issue between them has been settled and everything is back to normal, you may find it very difficult to relate to their partner in the same way as you did before, and this will affect your friendship. Of course you can share your feelings and worries with your friends and family, this is your support network, but be very mindful of how anything you share with them could affect your relationship in the future. Bear in mind that whoever you share with can't be unbiased due to their feelings for you. Also, any advice they give, however well-meaning, will be based on their own beliefs, values and opinions and may not be right for you. Your friends will hate to see you hurting and will want to make it better. But remember that what they would do in your situation is not necessarily what you should do. Before acting on the advice of friends make sure that it feels right for you and that you have considered the consequences to you and those around you. You could consult a counsellor, therapist or life coach and they would be able to offer you support that would be objective and non-judgemental. 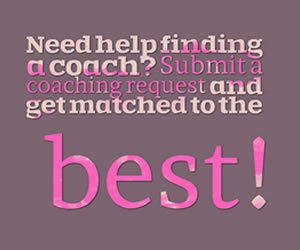 Professionals such as these will work with you and encourage you to find your own solutions that fit right for you. Just being empowered to find your own answers can give you the strength you need to move forward. Not everyone feels comfortable talking to a stranger or may not be able to afford to seek the help of a professional. A lot of coaches and therapists offer advice through their websites or in articles such as this one, and sometimes that can be enough to help you see clearly and find your solutions. A method that I recommend for people who find it hard to share their problems or feelings with others is journaling or writing therapy. 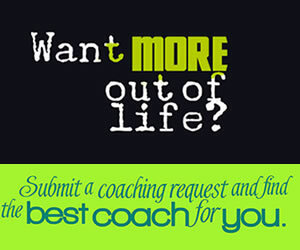 This can be a tool in itself or a prelude to seeking further therapy or coaching. Airing a problem on paper can be extremely therapeutic and although it can't replace the support of coaching, counselling or therapy, it can have a very positive effect on your approach to any issues you may be facing. Problems, worries, arguments, feelings and questions which are written down, rather than swirling around in your head, are much easier to tackle. Something that can seem quite scary when you are going over it in your mind can seem much less daunting when aired onto the page. It can make the problem seem more like an external situation and this can make it easier to view the situation rationally and objectively. You don't need to have a specific problem before you try writing therapy or journaling. Making the time to write a daily journal of your thoughts and feelings can help reduce stress and avoid the negative effects that stress can have on your health and wellbeing. Writing a daily journal in this way can be useful to clear your mind of distractions before important events such as exams, or help during times of change like moving house, and even as a way of unblocking your creativity. For more information and advice on writing therapy and journaling, please feel free to leave a comment below or contact me directly! Advice of friends is usually well meant but rarely objective. Journalling or even just writing down your thoughts helps to make sense of things. You can always follow it with professional support if you need to. I have been guilty of sharing problems for selfish reasons. I told my parents about a broken stovetop that was potentially dangerous at my unit, knowing full well there was nothing they could do about it & it would only worry them until I got it fixed.. misery loves company, unfortunately.